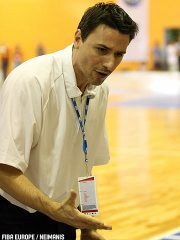 Grégory Halin's work in selecting U18 youth basketball players to represent France this summer is almost over. He has called up fourteen players outside the CFBB structure for the first training camp to be held at INSEP in Paris. As a result of the dates overlapping for the U17 World Championship and the U18 European Championship, Halin has restricted his selection for players born in 1992. Some of the players on the list have already played for France at European Championships or youth international basketball tournaments. Alban Lebigot and Vincent Bourdeau will assist during the training camps.